One of the most stressing and life-changing events is on the move. Yes, relocation of your home. You probably already made some plans and a moving checklist. You need to cover many things, and one of them is packing. It is a tiresome process, especially when we think about kitchen packing. The kitchen is the hardest part of the house to pack. That is why we bring you various way and tips to handle this task. After reading this article, you will pack like a pro. Let’s take a look. Since the kitchen is the area with many various items, you will need different packing materials and a lot of it. For starters, you’ll need boxes of all sizes. Small, medium and large. Then you need packing tapes and a length of rope for extra safety on some occasions. Also, blankets, rags, towels, old clothes and any kinds of materials that you can use as a cushion for boxes. Markers and labels to mark your moving boxes. And finally, packing paper, bubble wrap or any newspaper you have on hand. But you won’t need any packing materials if you decide to hire professionals. Miami Movers for Less are also providing packing services Miami. They are a moving company that can pack, relocate and unpacks with the highest efficiency. Leaving you and your wallet extremely satisfied. Kitchen packing was never easier. Packing large items first, or last? You can start wherever you want if you organize and have a patient approach. Some would start by packing all the small things first and leave bulky items for last. This choice is purely yours. Here is a suggestion. Start with cleaning and securing chairs and kitchen table. Empty and clean your dishwasher and fridge. All items that are too big for a box should be treated the same way. 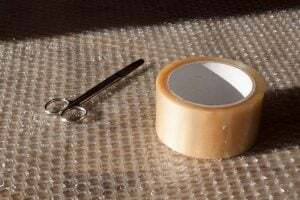 Use a bubble wrap as protection from scratching and rope to secure doors. Maybe this is the perfect time to declutter and downsize. Keep in mind that you can finally check all your frozen goods and throw away if anything expired. Same with old pans and pantries that you use twice a year. There is no need for them when you have new ones. But if you are not sure what to do with old stuff, maybe to donate or sell online. Or simply rent a storage unit and decide later. Miami moving and storage company will provide the best service possible. If you need security and accountability, they are your best choice. When we talk about appliances, there is a procedure that everyone must follow. First of all, you need to unplug the unit from a power source or remove batteries if there are any. And if it’s a hanging appliance, dismount it. Then use the packing tape to wrap up and secure the utility cord. 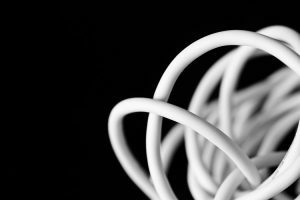 If it is a detachable cord, do not lose it, just stash it in the same box with the appliance it is used for. Same procedure with small screws, blades, plastic parts, and detachable items. Be sure that there are no chemicals, water or cooking oil inside to avoid potential damage. And maybe this is the right time to do the proper cleaning of your appliances. You want them fresh and ready for your new kitchen. Finally, if you are the lucky one and you kept the original boxes you got when you bought the product use them. If not, you’ll have to improvise with the regular moving boxes. If you are not sure how to properly pack and handle appliances, maybe you should hire professional help. There are many moving companies that will do the kitchen packing for you. Check the moving services they provide and make your move much easier. As we mentioned before, there are several sizes and types of moving boxes. You should use small ones for small appliances, cutlery, and miscellaneous items. 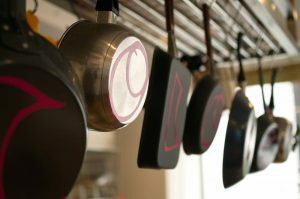 Medium sizes are best for cups, glasses, plates and big ones for pots, frying pans, and similar items. Most of the items in your kitchen are easily breakable, so take extra kitchen packing steps. First, you should secure your boxes and make them sustainable. Assemble your boxes and secure the bottom with few layers of tape. Use padding to make box corners tougher. And of course, fill your boxes with cloth or paper to make an improvised cushion for your plates and ceramics. Now we covered the preparation and organized your kitchen packing. Let’s look at the few quick steps and apply what we learned. It is time for packing. Place large items on the bottom while smaller and easier ones on the top. Pots and frying pans go first. You can put a piece of cloth inside the big pot and use it as an extra space. Fill it with very small items like fridge magnets, miscellaneous objects, and figurines. Tuck everything in with the crumpled paper. You should not leave corners empty. If you have a lot of glass items, then you’ll probably need additional moving supplies. Each glass or a ceramic cup, need to be wrapped in a protective paper or bubble wrap. Fill the insides of glass with additional paper for extra security. You shouldn’t overstuff the box with glass content. Better to have one more box with breakable items than to drop one due to heaviness. Smart advice for kitchen packing. Your forks, spoons, and utensils are the least important in kitchen packing. You can simply sort them by size or by a drawer they are usually in. Then wrap them together in a blanket or use one box to store them all inside. Just be careful with knives and sharp objects. If you have a plastic container, use it for this situation and secure with a plastic lid. You don’t want anyone to get hurt while carrying your boxes. 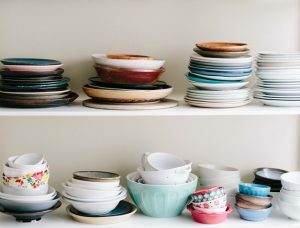 Bowls usually are similar sizes and they stack with one another. They won’t be a problem but smaller dishes, however, you must wrap in protective paper or bubble wrap. Make layers of cloth or paper between each dish to prevent a collision. In the end, once everything is packed, close your boxes and secure with tape. Put a label with a detailed description of each box. On the box with breakable items put signs and letters that are noticeable. This way you will raise awareness and you will have easier unpacking with labels you cleverly placed onto the boxes. In case you have old antiques or family dining sets that need special handling, consider taking extra measures. You can ask your moving company if they provide services in transporting special items. They usually have the means for such a job. Or at least think about purchasing moving insurance which will put your mind at ease. Our goal was to give you a better insight into the kitchen packing. It is clear that at some point you will have to improvise since not all kitchens are the same. It is your personal space, and, in the end, you will make the decision how to pack. We hope that this article helped. At least to lessen the stress and provide a few lucrative ways to make the process more efficient. Good luck!